When could you use a DDL? Iowa was the first state decide to test digital driver's license in 2014. It started a pilot on an IOS platform with 100 state employees at the end of 2015. The goal was to test the daily usability of the solution. The Department of Transportation hopes to make the app public in 2017. 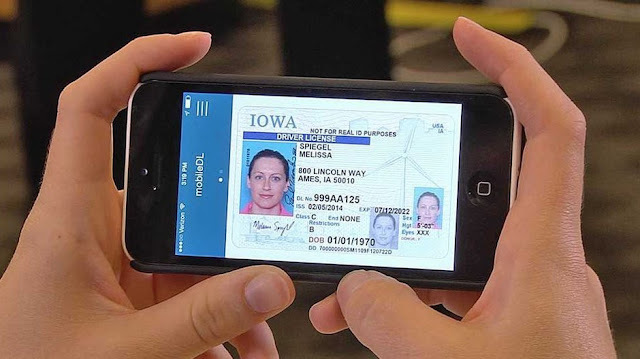 Several legislatures (legislative body of States in the United States) authorize the study of smartphone driver's license app such as Arizona, Illinois, Utah and Texas to name a few. In Louisiana, Bill 481 was signed by Governor Edwards on June 23, 2016. The law outlines requirements for a digitized driver's license. It allows persons to use the digitized license in lieu of a physical license when stopped by law enforcement. The proposed law provides that display of the digital driver's license shall not serve as consent to search the mobile device. A fee of up to $6 can be charged for use of the drivers license app. In California, the state legislature passed a bill (February – September 2015) to study the feasibility of a digital mobile driver's license app for smart phone. It was however vetoed by Governor of California Jerry Brown in October 2015. In July 2017, Colorado and Maryland started a live pilot. Follow the progress of the DDL pilot​ on our dedicated pages. September 2017 was dedicated to full pilot analysis, conclusion, lessons learned, best practices​. Stay tuned for the December 2017 phase of the pilots. ​In Other countries like India are investigating this option. able to manag​e the integrity of data throughout its life cycle - from enrolment to the in-field verification process. How would you get a DDL on your phone?